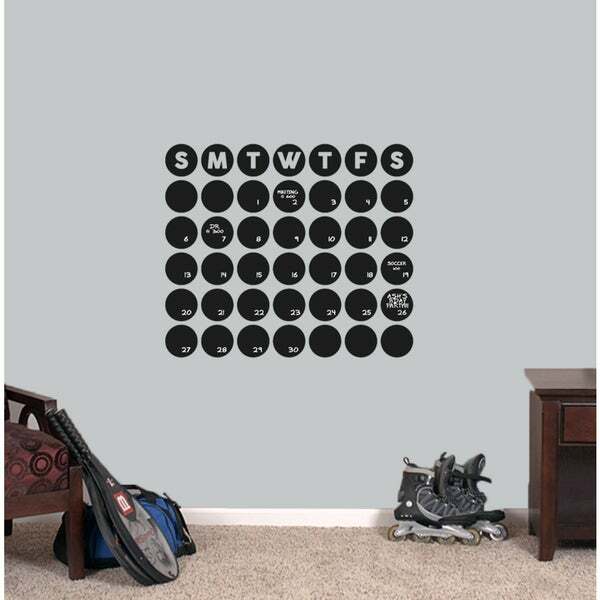 Add some color to your walls with this Chalkboard Circle Calendar vinyl decal. This chalkboard calendar wall decal will keep you organized! Place this decal in your office, kitchen, or even in your business! Keep track of your family schedule or your work schedule. You simply write the dates in these cute little circles! ?